Bone Thugs-n-Harmony took over episode nine of SKEE Live and delivered quite possibly the craziest performance of the season. 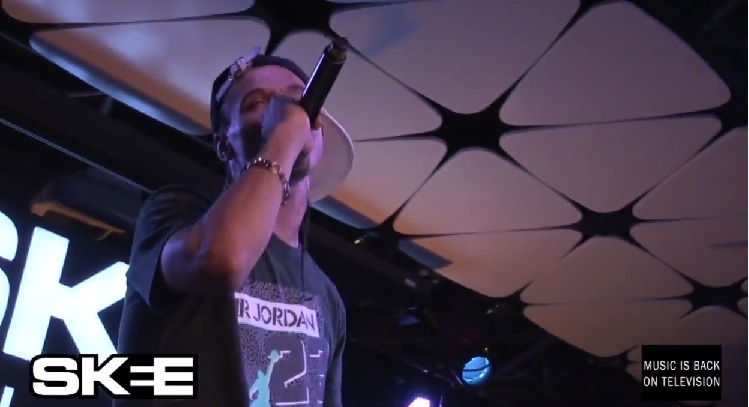 DJ Skee wasted no time in sending things over to the legendary group as they hit the stage to open the show with “Thuggish Ruggish Bone” and “East 1999” at L.A. Live’s The Conga Room. As the smoke clouds in the crowd settled and cameras went live back in the AXS TV studio, the Cleveland natives sat down with Skee for an intimate one-on-one interview. Topics of discussion included the origin of the group’s signature melodic style, landing a deal with West Coast Hip Hop Pioneer Eazy-E, Kendrick Lamar and so much more. DJ Skee also proposed the idea that perhaps Drake is the only artist who has the ability to drop bars with the same fast delivery and still harmonize. Fresh off the success of performing alongside an Eazy-E hologram at Rock The Bells, Bone Thugs opened up on what it felt like to pay homage to their mentor and spoke on the significance of the late rapper’s music on Hip Hop. With Bone holding the title as the only group to collaborate with Jam Master Jay, Tupac, Biggie, Eazy-E and Big pun, the living legends look back and reflect on who they had the best chemistry with in-studio. Bone also explained how at the advice of Eazy-E the group decided to remain neutral by choosing not to engage any potential past beefs. Ty Dolla $ign also made a brief appearance alongside Bone Thugs for a quick Q&A session with DJ Skee. The Taylor Gang signee served as a surprise guest and gave up details on how he managed to contribute to the group’s new “Everything 100” single. Before hitting the stage to close out SKEE Live with an exclusive tribute performance to Eazy-E, 2Pac and Biggie, Bone took the opportunity to answer a number of random questions from fans via Twitter. This week’s “Spotlight” showcased the talents of Ivy Levan. The singer explained her unique style which she attributes to combining elements of Punk Rock and Pop for a sound all her own. The Arkansas native also gave viewers insight behind her humble beginnings and touched on what it was like for her to originally transition her career away from modeling. “In The Lab” caught up with DJ and super producer Just Blaze while out in New York. Working with the likes of Mariah Carey, JAY Z, Rick Ross and Diddy, Just breaks down his early days on the turntables and explained how being a DJ served as the foundation for his eventual transformation to a full on producer. Just Blaze also spoke on how important it is for people to identify certain types of music with periods in their lives and how he takes that into consideration when creating in the studio. Skeme took over this week’s “Off The Top” segment which found the rapper out an about on the streets as he performed to the camera for an exclusive song fans can only hear on SKEE Live. “Up Close” linked up with UFC fighter Phil David. The mixed martial artist shared his story or persistence and dedication as David found himself pursuing his passion following his graduation from Penn State University. Viewers were also treated to a behind-the-scenes look for this week’s #SKEELOCKER as cameras headed to Diamond Bar, Calif. to meet with Bait sneakers CMO Eric Phan at the brand’s flagship store. Phan shared details behind the company’s recent collaboration with Asics shoes, the creative inspiration behind Bait’s designs and touched on the evolution of the sneaker game. Be sure to tune in every Tuesday to see SKEE Live at 7 p.m. (PST) and 10 p.m. (EST) only on AXS TV. 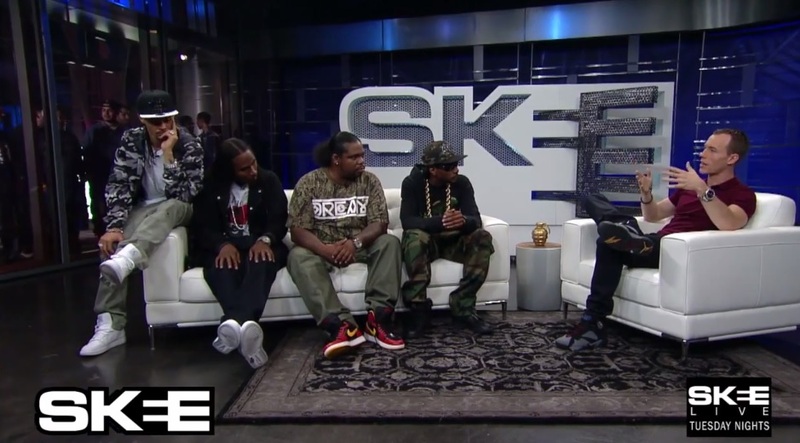 It was a Bone Thugs-N-Harmony takeover on episode nine of AXS TV’s SKEE Live. The legendary group took the stage at L.A. Live’s The Conga Room and turned the energy up as they took audience members down memory lane with hit after hit. In fact, Bone even took the opportunity to pay homage to Eazy-E, Biggie and 2Pac with short performances of “Foe Tha Love of $,” “Thug Luv” and “Notorious Thugs” during their set. It should be noted that Bone Thugs-N-Harmony holds the title as the only group to have collaborated with each artist while they were still alive. Tune into SKEE Live every Tuesday at 7 p.m. (PST) and 10 p.m. (EST). Bone Thugs-N-Harmony take fans in San Bernardindo down memory lane with a performance of their classic hits “Thuggish Ruggish Bone” and “1st Of Tha Month.” Take a look as the group gets the crowd hyped and ready to vibe out with a hologram replica of Eazy-E on what would have been his 50th birthday.